It was a long weekend then, me and my friends decided to have a short/unplanned weekend getaway. 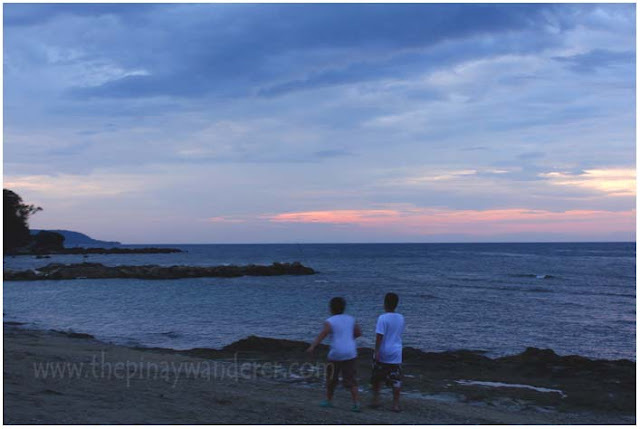 But since we all couldn't be away for long, we decided to go to Batangas, San Juan in particular. 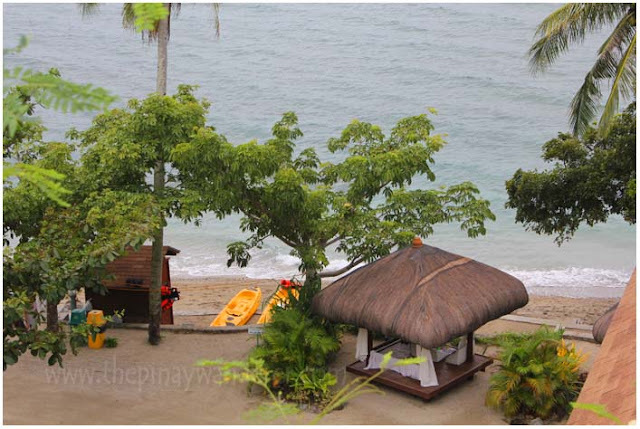 I scouted for a beach resort online (through my CP) and came up with several options but it was La Luz our first choice. Unfortunately, it was fully-booked that time (we don't have reservations by the way). So we checked out nearby resorts for available rooms. Luckily, we found one in Palm Beach Resort. It's a bit pricey (P4,850 including extra charge for 1 person) but since it was getting late, we grabbed it. The room is spacious enough though, comfortable for all three of us. It is air-conditioned with mini-fridge, DVD player and a cable TV on it. 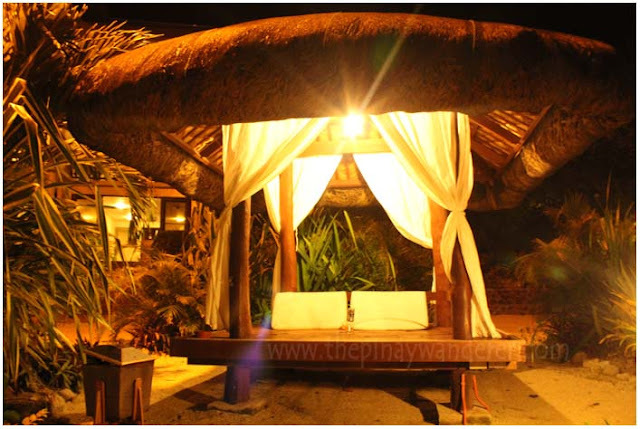 After dinner, we sat on the cabanas, did some chit-chats until we felt sleepy. Did I mention that it was raining (on and off) that time? 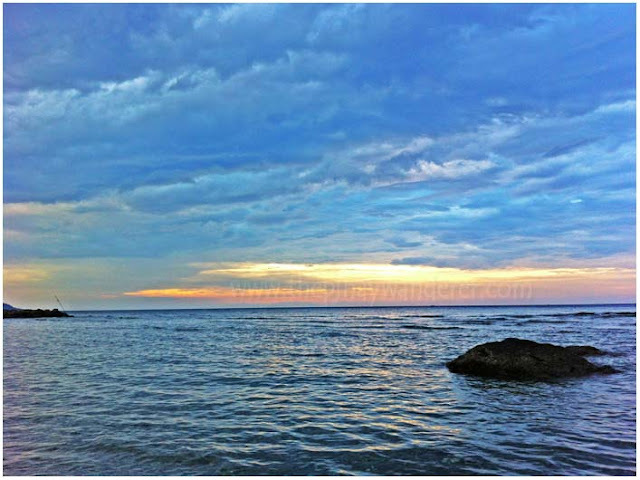 The cold breeze and the sound of small waves rushing to the shore induced sleep in us. And since we can't do anything that time because of the drizzle, we went back to our room to rest. 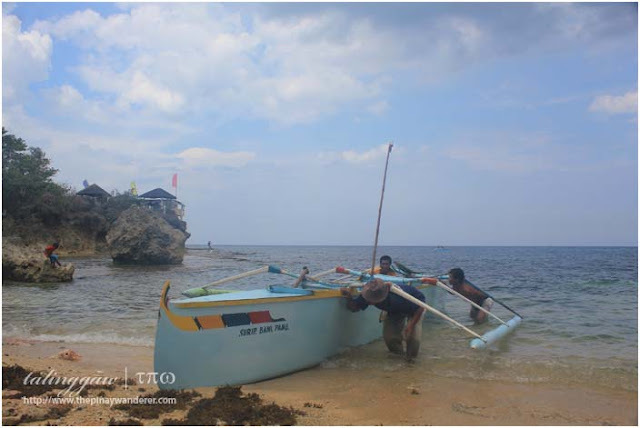 I used to do this too, riding and paddling a small boat alone, just like him! 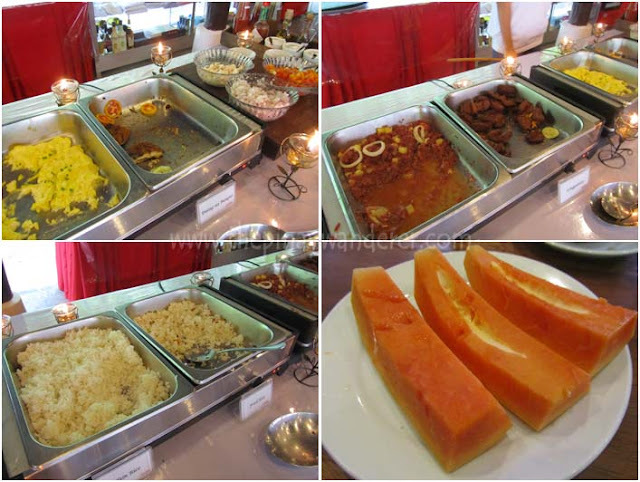 fresh papaya for dessert, steamed rice and fried rice too. also for breakfast - (not instant) champorado with crunchy dilis...yummm!!! For a detailed and more updated information about this resort, check their website >> http://www.lafrondosa.com. 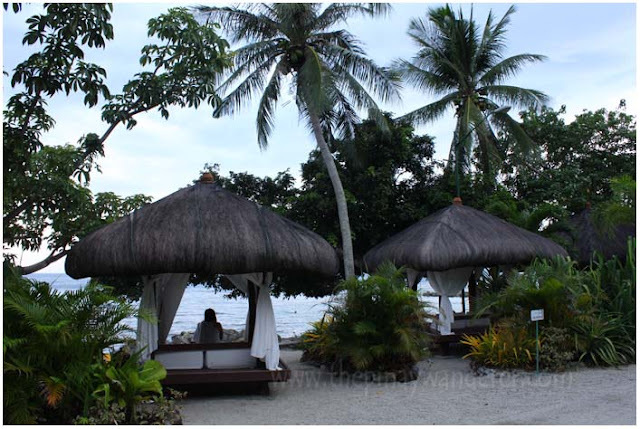 Ive never been to Palm beach but Ive been to la luz..looks like they have the same style of cabanas..
oo gurl, nakikipagkarera pa nga ako dati eh...hehe! Wow! comparable to Bora and we don't need an airfare right! Ang gaganda ng photos. I wish we could try this soon, salamat sa info sis! 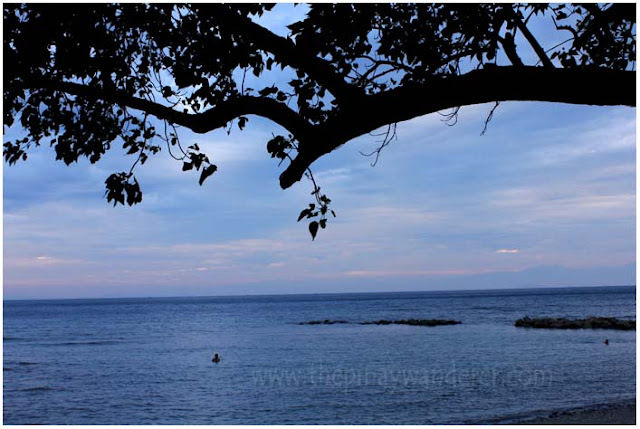 this is a perfect place to relax and getaway from the hurly-burly of the big cities or stressfull way of life. 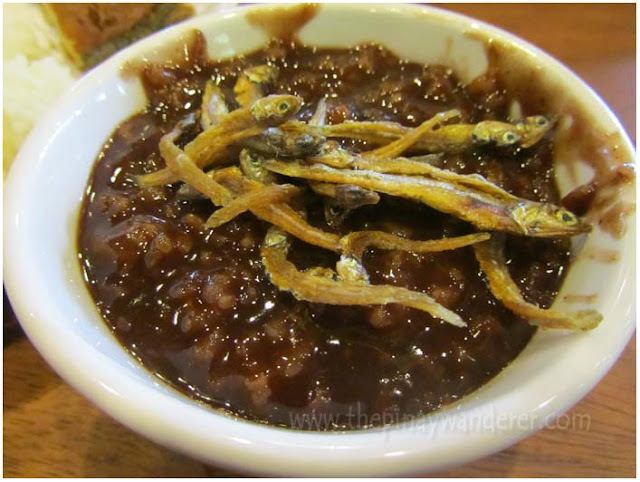 btw i miss that tempting champorado with crispy dilis! 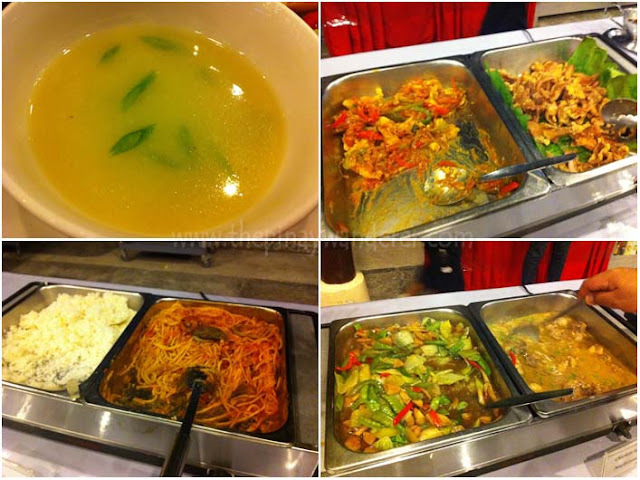 wow very nice place, nakakatakam nmn yung mga foods. 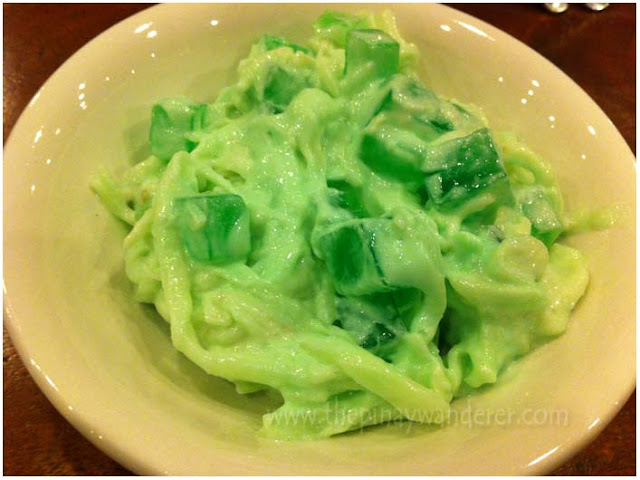 Esp un buko pandan and fresh papaya caught my attention hehe. parang dko pa natry ang champorado with dilis? hehe. 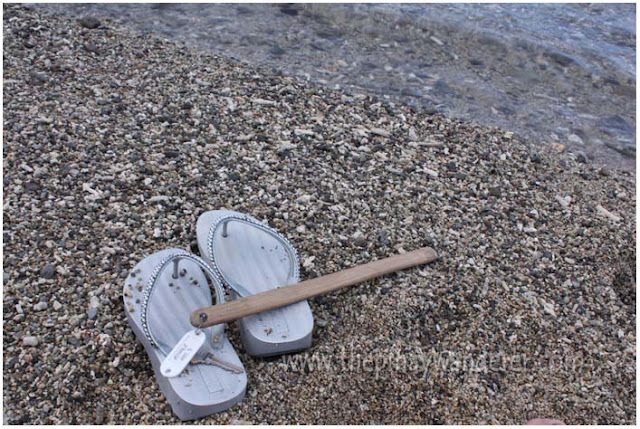 Ay naka-relate ako sa feeling mo, kaya love ko ang beach, doesn't matter kung anong klase ng sand ang meron, basta masarap yun nakakapag-isip isip ka, walang stress, peaceful, ganyan. Sarap magpahinga dun sa cabana! Yummy nun champorado but I never tried it dilis, weird pero mukhang panalo din! Ma'am Glen :) buking ha ha! 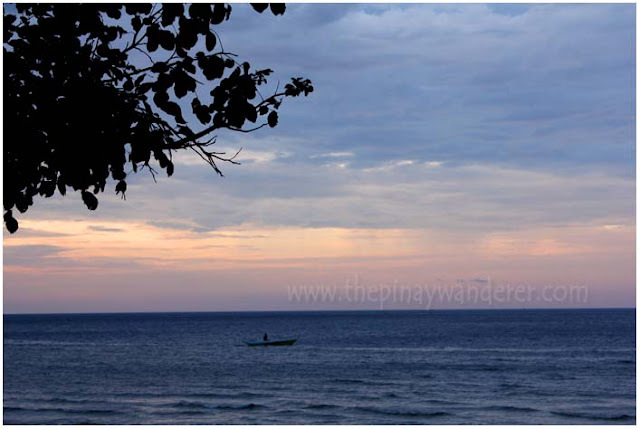 I love the cottage and the view sarap mag emote with that kind of scenery. Masarap ba talaga pagsamahin ang champorado at dilis? Di ko pa na try yan. Ang ganda ng cabanas nila! 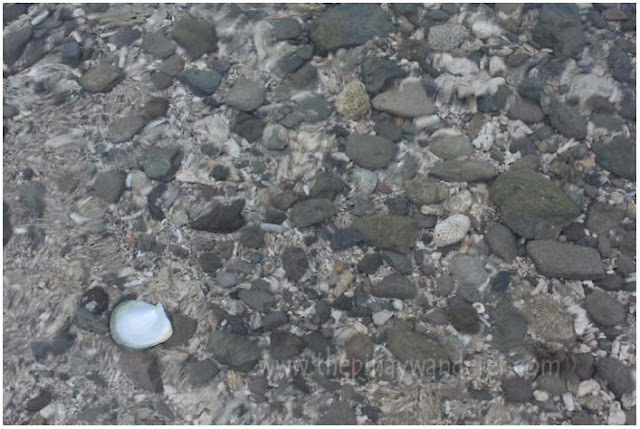 Ma pebbles nga no? Dapat pala may aqua shoes pag pupunta dyan. Hi Ma'am. Thank you for your blog. We would like to share it on our official Facebook page. 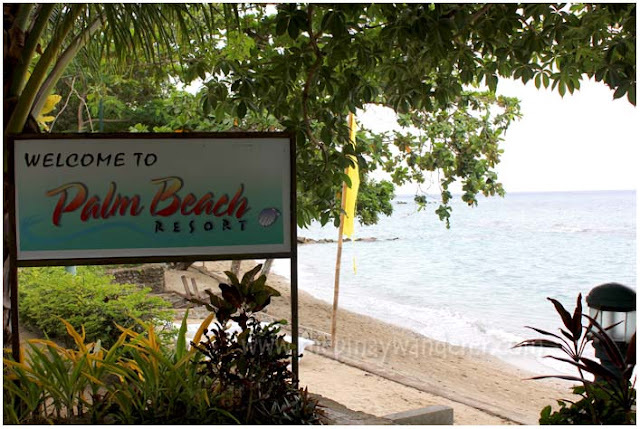 Again, thank you and hope you can come back again at Palm Beach Resort. Thank you ma'am. Your blog is now posted on our Facebook page. Can we have your name, contact number and email?